Manchester United manager Alex Ferguson will meet chief executive David Gill on Thursday as he seeks to avoid Wayne Rooney's Old Trafford exit plans becoming a 'saga'. The England striker issued a statement on Wednesday saying the reason he wanted to leave the Premier League club was their lack of clout in the transfer market. 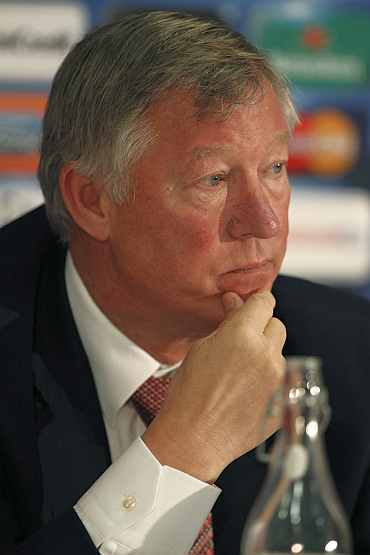 The previous day, Ferguson had spoken frankly of his shock at the player's decision. "I haven't read the whole (Rooney) statement. We will consider it all tomorrow," Ferguson told a news conference after their 1-0 win over Bursaspor in the Champions League. "David Gill and I have a meeting at 10 tomorrow morning. David has spoken to the owners tonight, which is important. What is really important is for us to put it to bed, we don't want it to become a saga. "Sunday's game against Stoke is the most important thing. This is a bagatelle, believe me." "The important issue is we have the team to consider, we have an important game on Sunday and that's going to be the end of it today. We will carry on and dismiss everything else." Though the prospect of United suspending Rooney until the opening of the transfer window on Jan 1 is believed to be strong, Ferguson refused to admit that was the course of action that he was set to take. He was quoted as saying in the Telegraph: "What kind of imagination have you got? We will put it to bed. Leave it like that." Ferguson detailed the breakdown of Rooney's relationship with the club during a dramatic press conference on Tuesday, which led to the players being immediately vilified and castigated by United supporters, who viewed his actions as being fuelled by greed. 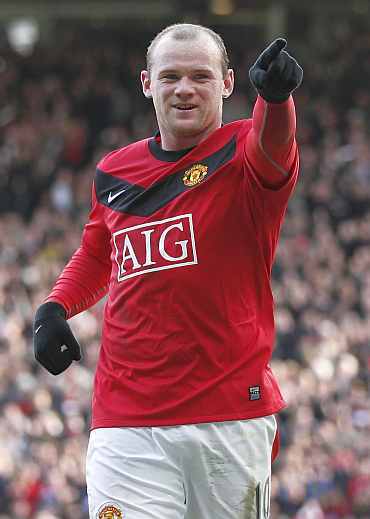 But Rooney responded by issuing a devastating statement just two hours before the Bursaspor fixture. Rooney said: "I met with David Gill last week and he did not give me any of the assurances I was seeking about the future squad. I then told him that I would not be signing a new contract. 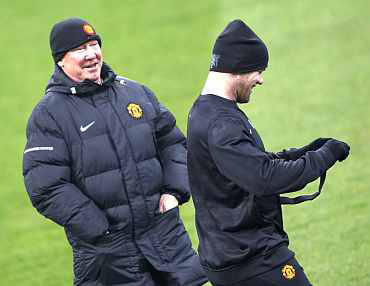 "I was interested to hear what Sir Alex had to say (on Tuesday) and surprised by some of it. "It is absolutely true, as he said that my agent and I have had a number of meetings with the club about a new contract. "During those meetings in August I asked for assurances about the continued ability of the club to attract the top players in the world. "I have never had anything but complete respect for MUFC. How could I not have done given its fantastic history and especially the last six years in which I have been lucky to play a part? "For me it's all about winning trophies -- as the club has always done under Sir Alex. Because of that I think the questions I was asking were justified."